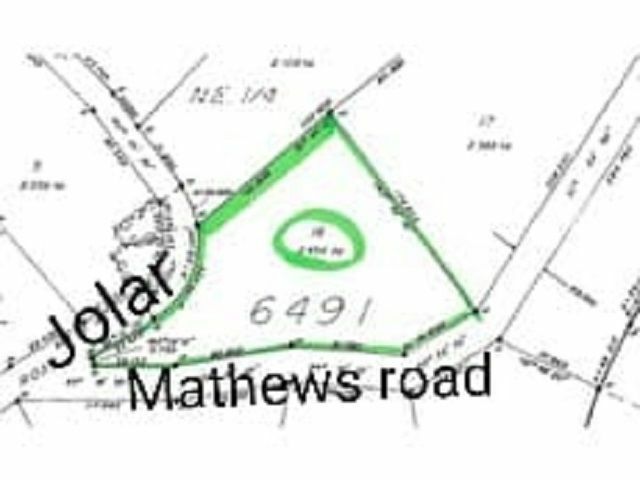 This 6.06 acre building site is treed, has a mountain view, and is on the corner of Matthews & Jolar roads. It's only a 15 minute drive from town! This beautiful piece of land may be the perfect building site for your dream home. Close to town yet private. It has a driveway off of Matthews.